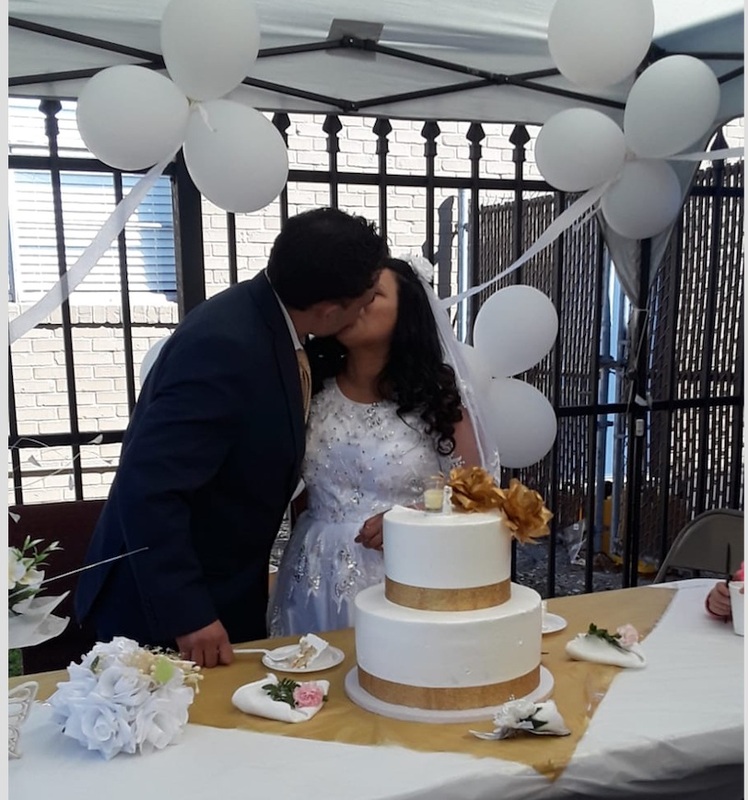 Congratulations to Ever and Gladys, one of our separated families, they just got married!!! MSC sent flowers, but we wish we could have been in Houston to help celebrate. Thank you for the recent donations to Ana. Her family didn’t have enough money to pay their utility bill, so MSC posted an emergency drive on FaceBook. This campaign quickly raised more than the $400! Thank you to the volunteers who hosted a baby shower for Johanna. She now has lots of pink clothing to keep her baby warm and cozy, a car seat to keep her safe and a stroller so that she can get her 2-year-old and new baby out once the weather gets better. Thank you to those who volunteered when learning about our new mom Lorena. Lorena and her 12 year old son came to us in desperation after a trip to the hospital and the arrest of her boyfriend. Some volunteers have already grocery shopped, baked lasagna and visited. We have made a list of all volunteers ready to help. Thank you for the monetary donations on behalf of Gabriel and his family and the donor who purchased the CD player through Amazon. He can now listen to his donated ESL CDS! MSC is an amazing group of people. The work that you all do: giving repeatedly to families in need, spreading the word about our organization and sponsoring individuals with their families. All of this means so much. We are an organization run by volunteers who dedicate any spare moment to taking care of these families in need. You are very much appreciated as we help to heal the world a tiny bit with these generous acts. Rosalie Lochner is a founder of Michigan Support Circle. The day that they took (Aden) away from me, they told me that I had to go in front of the judge, and that he couldn't go with me. As they grabbed him out of my arms, he was crying and fighting. I tried to comfort him. The worst part is that in order to make him stop crying, I told him that I was going to go to buy him some new toys in order to make him stop crying and fighting against the officers. I was like someone who is crazy. It is like I went mad. I went 10 days without eating or drinking, not even water, I refused even water. They locked me up in a room alone and they had officers watching me 24 hours a day. They treated me like I was a crazy person. They made me crazy. The day that they brought him back to me (2 months later), he was very calm and serious. I was crying so much, and he looked at me very seriously and said to me, "Daddy, men don't cry." When he saw me, at first, he didn't want to hug me or anything, and he didn't cry. After a bit he did hug me, but at first he didn't want to. I hadn't spoken with him at all since they had taken him. The first night that we were together again, I didn't want to ever let go of him. I just wanted to hold him in my arms and never ever stop hugging him and begging him for forgiveness. I never wanted to let him go. I didn’t want to sleep, just to hold on to him. I held him tightly all night. And I wanted to ask him to forgive me for what had happened to us. Michigan Support Circle and Immigrant Families Together work locally and nationally to reunite families separated at the border. The two organizations do their small but significant part to counteract the psychological trauma that our own American government continues to inflict upon such families, We, as citizens, ought to feel an obligation to help where we can and to resist policies that continue to inflict damage on those seeking asylum. We all have a responsibility to support families dealing with Zero-Tolerance and its very real consequences as well as all children psychologically injured by our immigration policies. Rosalie Lochner is a cofounder of Michigan Support Circle. I hope that you are all staying warm and safe. We have a lot going on at Michigan Support Circle right now, but I want to focus your attention on two very important items. This family is looking at several more months without an income and their Go Fund Me account has stalled. We’re trying to get the word out about the help that they need. Thank you all for your continued support of our families who are either separated or healing from separation. Please reach out if you have any questions about ways to help, and please share our families' stories with those who are interested. We are proud to announce that our MSC team in Houston is expanding to help support our two families there. One mother should have her first day in court in one week! We are cautiously optimistic. She’s being represented by Mana Yegani who was just featured in The New Yorker. We have had two other families whose court dates have been cancelled because of the government shutdown, so we continue to wait for those outcomes. We are also continuing to work to support Flori who, with the help of an angel donor, is able to pay her rent. Flori is, however, worried about making sure that her kids have enough to eat and that everyone has the right clothing for winter. If you can, please consider making a purchase for this family on Amazon through our website: misupportcircle.org. Food and shoes are priorities for them. We have an additional new family that MSC is working to support. This family’s case is slightly different from our other families so far. Ana is married to a citizen and her family has run into one terrible hurdle after another as they work to get her a green card. We will be soon be sharing a special video interview filmed by Jennifer Sharp who is traveling to Mexico to interview Ana this weekend. If you would like to learn more about Ana now, you can check out her Go Fund Me campaign. As you may know, we have struggled to find adequate legal representation for our family in Virginia. I am so proud to share that Fredy and his son now have an amazing lawyer. This lawyer has agreed to work with Fredy for a discounted rate, and we have found a generous donor willing to help pay legal fees. With this new representation, we are all very optimistic about Fredy’s status decision and his ability to stay in this country with his son. Thanks to all for what you are doing to support MSC and our families. Approximate round-trip drives donated: 150!!! This is incredibly impressive, and to make this more inspiring are the additional volunteer contributions: birthday cakes and piñatas; shoulders to cry on; coats so children can get to school this winter; doctor appointments met; Christmas presents; fresh produce; dental work; and laughter. There is so much more work to be done in the new year. We have a family that needs $10,000 to pay legal fees. We have a new family that remains separated because of misfiled green-card paperwork, changes in immigration policy, and lack of money to hire legal help. We have more doctor’s appointments, asylum court dates, as well as kids who will still need our help in order to eat balanced meals, and parents who will still need (and are incredibly grateful for) helping hands and friends. “Gracias. gracias con todo el corazón. Ustedes han sido angeles del cielo para nosotros. La verdad son los únicos que han aclarado mi vida cuando estaba a total oscuridad. Thank you for being a part of this team. Alone, our efforts are limited, but united as a team, we can do so much. We have provided the families who have come to us with stability, a safety net, and evidence that their lives and well-being matter. We had a tough week last week at MSC. We witnessed so many things go wrong for a few families, and there was little we could do. First, we are helping a 19-year old mom who was deported find legal representation and fight her deportation order. She was separated from her family and deported under zero-tolerance while her husband and child remained in this country. It is likely that she is years away from seeing her 4-year old son again. Next, we have another family that remains separated because the father was deported while the mother and son were reunified. Despite safety concerns, the family is contemplating reuniting in their home country because they would rather face the possibility of death together than remaining separated for years to come. Lastly, we helped a new family who had come out of detention and ended up in an unsafe living situation. Tricked by the promise of work and help, the mother was exploited and the children were endangered. The family is safe now, but we witnessed firsthand the paralyzing effects of years of trauma in their home country, six months in detention and then sexual violence, and exploitation once they were released. They will need a lot of support as they recover from these experiences. In the midst of this pain there are, however, so many people hustling to help: holding babies, calling law firms and legal centers, spreading the word of what families are going through, driving families to appointments, sending Kroger cards to those running out of food. This is the daily work necessary to maintain our own humanity and the humanity of others. The two are intrinsically linked. During this holiday season we are seeing so much pain, but so, so much love. Thank you for being a part of this team. Thanks to the help of a Michigan Support Circle (MSC) angel, Flori, our mom in Kentucky, just moved into her new home with three of her children! We are hoping to move two more families into permanent housing by the end of next week. Ana, the mom who just recently came to us for support, will be moving into a one-bedroom apartment with her two children. Our fingers are crossed for Fredy’s family, who, thanks to the help of another Angel donor, will be moving into his new place where he and his son will work on building a home. (Fredy still needs more help with rent, so please be in touch if you’re interested in becoming an Angel). We are also working as hard as we can to help get Fredy’s wife, Lesly, released from ICE detention and back to her family, where she belongs. Beyond these large changes, this past week has been full of doctor’s visits (cold season is hitting our MSC families), and the beginnings of holiday cheer. From schools to churches and synagogues, people are feeling inspired to share their blessings. For example, this past week a few religious groups have taken it upon themselves to collect Kroger, Target and Meijer’s gift cards to be donated to families this holiday season. These kinds of card collections are a great way for people who do not live near any of our families to affect their lives directly. Thank you for being a part of this team. Together we are helping families torn apart at the border to find each other and heal. We at MSC hope that you had a Happy Thanksgiving. MSC and our families have had a busy week few weeks with lots of opportunities to help each other, for which we are very grateful. One of our reunited families made the brave decision to go public with the story of their ordeal on CBS “60 Minutes” this past Sunday In this segment (which you can view here), Ever, Gladys and their two kids share about their difficulties and the trauma of their 72-day family separation. This is one of the first families that MSC worked with, and we still help to support them. In other, more local news, Ferry Elementary School’s 4th grade classes helped two of our families shop for their Thanksgiving dinners! These two Grosse Pointe Farms classes had a drive to collect groceries and Kroger cards for people new to our national holiday of giving thanks. What a wonderful way to connect with community! This effort was a huge success! It was such a joy to help stuff a volunteer’s car full of groceries and to hear about how thrilled the families were when they unpacked these generous gifts. To donate to other families please click on the donate button on this website. Last week we also started a winter toy drive in partnership with University Liggett School. At a recent assembly led by an enthusiastic student volunteer, Liggett’s high school class learned about MSC. They are now working hard to collect holiday gifts for all of the children that we work with in Michigan. We are so blessed to have so many kids who are working hard to help families. MSC’s circle is growing. Just this last weekend, we added a new, young separated family. This family came to us in an emergency situation. The mom, her 4-year-old daughter and newborn baby fled a very unsafe home situation. This mom is currently living with a host family until we can find her a permanent, safe residence. We have found a few “angels” to help pay rent for some of our other families. If you are in a position to and have not taken opportunity to become an “angel,” please consider helping this family. They have so much healing to do, and your financial help (for a month or more) will go a long way in their long process toward feeling secure as they seek asylum. Please email me at michiganscstaff@gmail.com if you are interested in becoming an “angel” or simply want to know more. Please consider sharing news about our work and the needs of our families. DO share the link to this blog or our website to anyone whom you think might be interested. Offering the opportunity to make a direct impact on a struggling family’s life can open paths to new awareness of what families are facing. This is the speech that Rosalie Lochner gave on behalf of Michigan Support Circle at last Sunday’s rally for “Let Our Families Go: Pilgrimage to Tornillo.” People across the country drove down to Tornillo, Texas, and earlier this week they protested against the holding of over 1,500 children in a tent city detention center. Among them was a caravan led by our own Rabbi Josh Whinston. To learn about the pilgrimage and the protest, you can follow Rabbi Whinston on Facebook. To see photos and read about the rally you can check out the coverage at Mlive. Thank you all for having us here, for being here. My name is Rosalie Lochner. I help lead the volunteer organization Michigan Support Circle. I would like to point out to you to our other leader, Gina Katz. We feel so blessed to be here today to help support this important caravan to Tornillo, Texas. For those of you who don’t know MSC, our organization works at a very local level, supporting individual families. We work to support each family in their unique situation, support their reunification, and support them as they work to give their children stable homes. I recently talked with one of our MSC moms about this rally. She was reunited with her daughter at the end of August. I asked her about what it was like to have her daughter housed in a group foster home (she was 12 and so, thankfully missed the cut off for Tornillo by 6 months). She told me that she would call her daughter in detention and that her daughter would BEG her mom to come get her. She would talk about how lonely she was and how all she wanted was a hug from her mom. That mother’s heart was breaking. She would listen to her daughter and then she would get off the phone and call caseworkers, social workers, anyone she could, and then she would sit down and cry and cry and cry until there was nothing left. I am ashamed that my country was responsible for the imprisonment of her daughter. I feel a responsibility to her daughter and to this mom to make a difference. MSC can make a difference to a few families but we have to get all families reunited. This will only happen because of the work that you all are doing. You can help make that difference. Your voices will make a difference. Your caravan will make a difference. By showing up, you take responsibility for facing this atrocity and challenging it. You let our government know that it cannot do this in your name — in our names. 1) When you pack up and make the hard work and life choices necessary in order to drive to Texas, you say that children cannot be used as political bludgeons. 2) When you drive the many, many hours to Tornillo, you say that children cannot be imprisoned in your name. 3) When you protest in Texas, you say that children must be protected. When a country looks at children and does not see faces but sees tools, then that country, our country, has already crossed over a line. We must all take responsibility, as you are about to do, to say “no more.” Unless we say “no” as you are, we are morally guilty of participating in this crime against humanity, against children. This caravan reminds me of the caravans each morning that drive kids to schools and pick them up in the afternoon. Go to Texas, and demand that these children be released. Make it so other caravans can go to Texas and bring these children home. I know that you will use the power of your names and your voices to amplify fact of the silencing of these separated families. Please know that Gina and I and the rest of MSC will be shouting and putting our voices with yours. Demand that these families be reunited so that we at MSC and at other organizations can support these families as they try to heal. We are counting on you. November is a time when many of us spend time thinking about family, about giving, and about the complexity of our country's origins. It is also a time when, this year in particular, many of us will be grappling with the complexity of our love for this country in relation to our concern regarding the way that immigrants, people of color, the LBGTQQ community, and many others are being dehumanized and treated as scapegoats. Our country is a strong one. It has flaws, but one of its greatest strengths is our ability to come together and support each other. America is a country of big-hearted individuals. Make change where you can. Please help change our family’s lives by donating, volunteering, and spreading the word. We have a big in-person gathering to look forward to. On Sunday at 5 p.m. will be a sendoff rally for the Caravan to Tornillo: “Let Our Families Go! Pilgrimage, Protest, Prophetic Witness.” This rally will be held at Temple Beth Emeth in Ann Arbor. Many will be attending this rally and speaking. (2309 Packard St, Ann Arbor, MI 48104). The event will run about an hour. Children are welcome. Besides speakers there will be a fundraiser for Annunciation House in Texas and Poster Making for the protest in Texas. We hope to see some of you there! We are concerned that one of our Houston families received an eviction notice this past week. They must leave their apartment by November 30th. They had participated in a interview and their landlord did not appreciate the publicity or know that they were living there with extended family. We have created a Go Fund Me for them to raise rent money for rent. If you cannot donate at this time, please consider sharing the link with others. As always 100% of what we raise goes to our families: EVER AND FAMILY. Thank you all for your help. Thank you for your support. Thank you for your continued engagement. We are responsible as allies and as friends, as those who stand in solidarity to step forward, to hold a hand, to do all that we can. We step forward when we take the time to help neighbors and strangers not just in moments of immediate crisis, but also when the crisis is complex and harder to see. 1. We have a new family! We are thrilled to open our circle of support to Lilian, her husband, and their 5-year-old son! Lilian’s family was reunited after a month-long separation. They now have a wonderful pro bono lawyer and long-term housing. MSC has an Amazon list for them (her son needs a backpack and lunch box for school) and we are working to find volunteers to help them with transportation. Please forward to anyone in Houston who might be interested in helping in one way or another. 2. Rabbi Josh Whinston is organizing “Let Our Families Go! Pilgrimage, Protest, Prophetic Witness. This is a caravan that will depart from several states and meet at the Tornillo, Texas, tent city currently housing separated children. Please visit their FB page, and sign up here: Tornillo Caravan. You can also email: LTCGPROTEST@GMAIL.COM. 3. This past weekend, we had a great time as exhibitors at MiTesol Conference at Eastern Michigan University. This conference is for those working with English language learners. What a warm and welcoming group! We signed up almost 50 new members! 4. We have new Go Fund Me’s for two families we work with. Both families live in housing situations that do not provide stability for their small children. Please check them out on our website learn more. Share the website and contribute as you can. As always, money goes directly to these families: donate here. 5. We had a generous volunteer who helped our Halloween-age kids shop for their costumes. This volunteer threw them a pizza party and helped them go Trick or Treating for their first time ever! The kids were proud to report that they got BUCKETS of candy! Thank you to the lawyers who work to help make our families legally whole and legally safe. Thank you to Michael, who didn’t know how to help because he does not speak Spanish, so he bought a family a microwave and delivered it. Thank you to the therapists who donate their time and skills to help our families heal. Thank you to Beth for the Tweet that raised awareness and 350 flight donations. Thank you to the donors who give funds to help feed, clothe, and take care of families. Thank you to our volunteers who crisscross across states helping reunited families to get home. Thank you to our translators who take calls at 6 a.m. and 11 p.m. to help families feel safe and get answer to their legal questions, understand sick day school policies, and get connected with volunteer drivers who are not bilingual. Thank you to those who shop for our families on Amazon, buying Tinker Bell sweatshirts, winter boots and Woody and Buzz Light Year toys. Thank you to the extended families who help to house some of our families. Thank you to those who read the Facebook posts and check to make sure that there is no way that they can help today. Thank you to Mark, Susan, Judi, Francine, Elizabeth, Sandra, Gary and all of the others who donated $3,000 and counting to help Fredy’s family. Thank you to the volunteers helping in Kentucky, Texas, Nebraska, Massachusetts and Virginia. Thank you to our reunited kids who are willing to smile and laugh with us after all that has happened. Thank you to our reunited parents like Fredy, Evers, Karina, Laydi, Ingrid, Eulalia and others for giving us the chance to heal. 1) Finding safer housing for four families. Two of these families have small children and sleep in a cramped kitchen or living space. 3) Driving a newly reunited family cross-country from New York to Arizona by way of Michigan. This mother, grandmother, and 6-year-old son were reunited last week. 6) Completing a winter and fall coat drive. Thank you to those who donated and those who purchased new coats! 7) Continuing to help families to fill out medical forms and access online services. 8) Driving Michigan, Virginia, and Houston families to medical appointments, prescription pick up, food pantries, grocery stores, consulates, and more. We always need more volunteers to drive, so email us or please ask to join our Face Book group to help! The truth of a cliché! “It takes a village” is a phrase that we at Michigan Support Circle use all the time. Whether we are doing something like coordinating legal aid, getting families to food pantries, helping to translate for school parent-teacher meetings or simply providing a sympathetic reassurance to a worried mother, we form an interlocking web of support. It truly takes a village. Here is one example of the incredible interlocking web at MSC. When the temperature in Michigan started to change, several families reached out saying that they did not have fall or winter coats. The MSC network activated to help. First, we tried to get coats through a church charity. This outing required a driver/ translator to take two of our mothers to get to the church. It turned out, however, that the available coats were not the right sizes. Next, I asked my neighbor if she knew anyone who could help hold a coat drive for these families. She said that she would get back to me, then later replied with the contact of a friend who agreed to help. This friend, Tricia, created a flier and posted to several different groups on Facebook (groups that had been set up by others earlier) and reached out to some of her friends, broadening the circle. There were a few responses from each Facebook group and from some of those friends. One came from someone who works at a different church’s resale shop. Through this shop, Tricia was able to get a few coats that were the right size. Other friends donated a few coats, and a few more coats came in from other Facebook groups. The coats were collected and cleaned. But we still did not have all the right sizes. At this point, another member of MSC heard through a texting thread that we could not find any XL boys’ coats. She asked if she could buy new fall and winter coats for one of the kids. At the same time, another person on MSC’s Facebook group got in touch and offered to send a Target gift card to buy new coats for the two girls who still didn’t have coats in their size. Our families do not live near each other, so delivering the coats will require two trips. Tomorrow a volunteer who has a work event close to two families will drop off those coats. Then, on Sunday, there will be another drive west to drop off the other coats to the other two families. The number of people finally involved in organizing the coat drive, getting coats, delivering the coats: 11. This number does not include those who actually donated used and new coats, which brings the number closer to 35. Everyone can have a role in helping our families. Do not ever think that you are not doing enough as long as you are doing something. It takes a team. Every small bit helps. Simply checking in with our Facebook group (just search for Michigan Support Circle on Facebook and ask to join) or reading this email helps because it means that when there is a call for your help, you will know and be able to respond. We have lawyers volunteering, people helping to transport clothing, friends donating coats, friends raising money, friends of friends babysitting for volunteers. We cannot do this without you. If we all help a little, a lot gets done. If you are reading this, it is possible that you are a civil servant or activist. Perhaps you’ve long been familiar with the myriad of needs faced by refugees and asylum seekers, or you play a role in advocating for immigrant rights in the United States. More likely, however, you are someone like me — someone who espouses a belief in welcoming communities, someone who believes in recognizing the privilege of a comfortable life in America by supporting the needs of others, and someone who watched and read in disbelief over the past several months as this administration instituted shocking policies designed to thwart immigration and dehumanize families. Family separation, with the ample news coverage and activist-led opportunities to engage, may have lit something in you that caused you to donate, stay informed, or get involved. For a while, not just ample news coverage, but organizations like Raices and the ACLU and grassroots activism like the volunteer-led groups the Michigan Support Circle and its sister organization, Immigrant Families Together, and Angry Tias and Abuelas worked in tandem to raise awareness and create a movement to remedy and reform these policies. The deadline for reunifying families was set, came and went. And while both media coverage and activism continues, a quick twitter search comparing #familiesbelongtogether today to two months ago will show you the energy around this issue has died down significantly. The biggest challenge here? The needs of the families affected by this tragedy have continued to increase every day. Michigan Support Circle is one of the small, volunteer-led efforts that formed out of a desire to act on behalf of those impacted by family separation. As a volunteer, I have observed firsthand what happens when a group of people commit to supporting the daily needs of these families after reunification. Volunteers work tirelessly to support the families that have come into their care. While many refugees’ needs in the U.S. are at least in part supported by refugee resettlement agencies (though both the number of refugees and the assistance provided has been cut down substantially this year), the MSC works with immigrants without these more formal networks of support. Put simply, MSC is finding ways to help with the needs of the families recently reunited with their children, so that they can have support while going through the legal steps of seeking asylum. 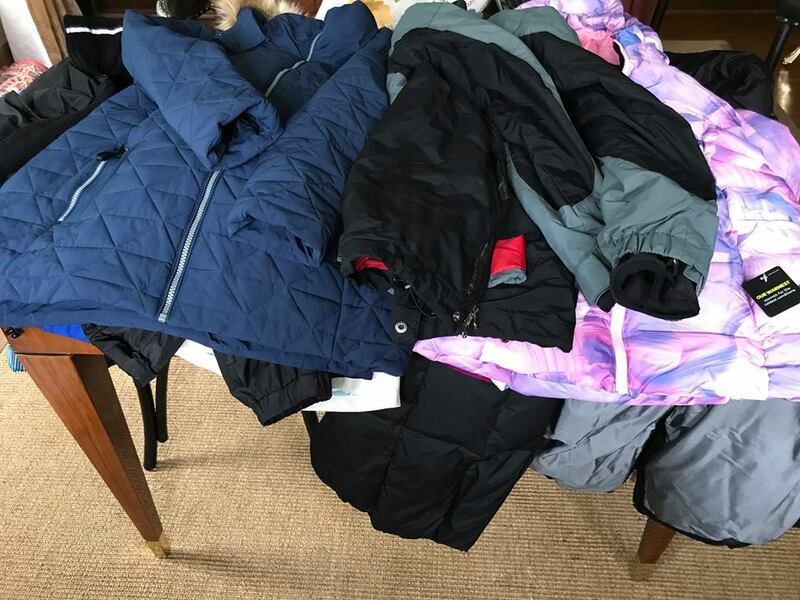 · A family who has never before lived in winter needs warm clothes as both mother and child prepare to face Michigan winter. · A family relocating and attempting to find a more permanent home needs support completing paperwork, determining grade levels, getting supplies and enrolling their children in school. · A mother who suffered a pregnancy loss post detention needs a series of medical appointments and tests to determine the cause of her dramatic weight loss and inexplicable pain. · A young boy came out of detention in serious need of dental care. · A little boy enrolling in American school is terrified to ride the bus alone post separation. His family needs money for cab fare to and from school each day for him and his mother. · A family needs trauma therapy for the ongoing fears and concerns of their child. · A mother needs eye exams, new glasses and prescription medication due to migraines she’s been experiencing since detention. · A family with a young daughter needs help picking her up from school when ICE schedules home visits and the mother cannot leave to get her child from school herself. · A mother of a young girl living in a hospital due to her severe medical condition needs help to move in order to live near proper medical care. I’ve watched as Michigan Support Circle has mobilized to provide for all of these needs and more. Locating sympathetic medical care, lining up rides, organizing Amazon registries for family-based needs, translating form after form, enrolling children in school — the list truly goes on and on. If you are like me, perhaps you’d never paused to think about how much need there is — needs that were exacerbated by family separation, but not solved through reunification. This truly grassroots effort is led by several amazing women working their way through a sea of challenges to provide the level of support and guidance that make this community a village, welcoming those who have joined it through love and care. Please consider supporting their efforts through donations. Individual fundraising efforts can be found here. General funds for these efforts can go a long way toward supporting the tasks of the volunteers, and donations for this purpose can be accepted here. Your donations can mean everything right now. Carey Swanson is a Michigan Support Circle volunteer. Rabbi Josh Whinston of Temple Beth Emeth in Ann Arbor gave the following sermon on Yom Kippur, the holiest day in the Jewish New Year. He and Michigan Support Circle’s Rosalie Lochner met while giving an interview on Michigan Radio a few months ago, at the time that immigrant families separated at the border were being hastily reunited with little resources to support them. Rosalie was working on reunifying families in Michigan. Josh had just driven a mom named Yeni, who had started out from a small village in Guatemala to get her family away from gang violence, hundreds of miles to reunite with her children. Here is his sermon, a letter — and promise — to Yeni. It has been over two months since I have seen you. Two months since I received a phone call from my wife, Sarah, that Gina Katz (one of the cofounders of Michigan Support Circle and member of Temple Beth Emeth) had called, asking if she could drive you from Ann Arbor to Pittsburgh, you were just days out of detention and you were desperate to see your children. Sarah couldn’t make the drive, but I could. And immediately I began looking for another person who spoke Spanish to accompany me, preferably a woman as I thought that might make you more comfortable. When I could not find any members of my congregation who could help, I asked the only person I knew who spoke decent Spanish, Nellie Stansbury, she works in our office at my synagogue. Without thinking twice Nellie agreed to drive with us. I am not sure exactly how Nellie felt before we picked you up, and to be honest I am not even sure how I felt, we were joking in the car as we would in the office, but as we approached that house off Pontiac Trail, things felt serious. We knocked on the door and your host opened. It was July 2nd, 6 AM. You sat on the couch waiting for us after being shepherded from Arizona, to Ann Arbor. You knew there was still a considerable journey ahead of you to New York where your kids were being held. Even before we got in the car, I was thankful for the care the trip organizers had taken with you. They were just three women, three regular people who heard your story on the radio and decided to raise money for your $8,000 bond to get you out of detention. These women and those working with them would come to be known as Immigrant Families Together. They wanted you to drive across the country so you would not have to encounter TSA at the airport and risk being sent back into detention even though you had all the correct papers now. You climbed in to the back seat of my car, and I didn’t say this, but it became clear when that door shut, we weren’t just driving you from point A to B, we were on a mission. I kept looking at you in the rearview mirror, I could see the pain in your face, I could feel the exhaustion of your experience, I could sense your determination. I was so embarrassed of what my government did to you. We didn’t talk much at first, it was still so early in the morning and you had already been traveling for a few days. We were also cognizant of not asking too many questions. We already knew the general details of your story, even though you were claiming asylum, Yeni, you had been in detention for weeks, your children had been stolen from you and you were trying to get them back. To a certain extent, those details are enough, they are enough for any feeling human being to know your situation was a great injustice. The immoral policies set in motion in Washington were reason enough to get involved and make sure that the voices from D.C. and ICE agents were not the only American voices you would hear. This is why, when I was given the opportunity to help, there was no doubt in my mind I was going to help. These were the general details, the details that everyone in your situation shared. It wasn’t for an hour or two that you started talking about your personal experience. I’ve wondered for weeks now, why did you share your story with us? Did you feel obligated? I hope not. Did you want to two more people to know first hand, from your lips the narrative that you wanted to tell? I promise, I will never forget what you told Nellie and me. I promise I’ll never forget that you come from a village south of Guatemala City, and thattwo men who run the local gang control the village. I promise to never forget that in recent years, you have been too scared to leave your house unless it was absolutely necessary and now that your son is getting older you have been fearful for months that he was either going to be recruited into the gang or killed. Staying in your village, the choice for your 11-year-old son was clear, death or a life in the gang. You told us, that even though the last few days you met some wonderful people, kind people, that you just wanted to forget this ever happened, you wanted to forget the ICE agents. I don’t know if you meant it this way, but you also implied you wanted to forget us too. You wanted to forget the people who had harmed you and the people who were helping you. I know what it feels like to just wish your life is a nightmare that maybe you’ll just wake up if you are lucky. It was a question that I assume was meant to say to our government, “Don’t you see, this policy is ineffective.” And so I wanted to know, did you hold this opinion as well? After all you had been through, would you still have come here knowing that your kids might be taken from you? Without missing a beat, you said, no. No, I would not have come. We all sat for a while after that without speaking. I was shocked at what you said to us, it was so strikingly different from everything I was hearing and reading in the news. As I drove down I-80, I realized what you were really saying to us. Yeni, when you told Nellie and me that you would not have come, what you were also saying to us that you would prefer to take your chance with the gang, the very real possibility of death, rather than the agony of losing your children, the horror of having your babies ripped from your hands at 5 AM, the torture of not knowing where your kids were going or when you would see them again. Yeni, I am a parent of three children as well, I can’t imagine being put in the position of making such a decision. Yeni, now you know, the America of opportunity, the America of diversity, the America of tolerance, that is only part of America. This year we were all reminded, family separation is also American, racism is also American, indifference, that too is American. You see, Yeni, the thing I didn’t tell you, the thing I wanted to say but knew there was no good way to really explain in the car ride, is that I wasn’t just driving you because of my political point of view, I needed to drive you to Pittsburgh because I am a Jew. Yeni, people can disagree about immigration without being racist, I am sure you would agree with that. And even with your unambiguous response regarding not coming to America had you known the consequences, I am in no position to say whether the policy was effective as a deterrent or not, most of us here today probably don’t know the answer to that question. However, I do know the answer to another question, “Is the end worth the means?” When the Torah, the foundational text of Judaism, repeats 36 times to be kind to the stranger, repeating it more than any other commandment in all of Torah, no, the end does not justify the means. Yeni, we Jews are a diverse group, we differ in opinion about immigration, we differ in opinion about many policies, but ripping babies from the hands of parents whose only crime is seeking a better life, is beyond the pale of acceptable behavior, especially when it is done in our names. Yeni, your story is exactly what the Torah has in mind when it tells us over and over again, be kind to the stranger, for you were strangers in the land Egypt. Yeni, when our sacred text tells Jews to be kind to the stranger, the widow, and the orphan, what it is really saying is watch out for the people in your society who have no power. Yeni, your community, the undocumented immigrant community and now the asylum seeking community are exactly these people. Your future is at the whim of the State. As you’ve come to see Yeni, ICE agents function outside the normal constraints of law enforcement, and you may not know it, but the immigration court you have been in, it is not like the rest of our courts, it is not in the Judicial branch, it is a part of the Executive branch in the Justice department, a department run by a man I have already told you about, a man who praises an act that was designed to discriminate based on race. Yeni, at this point, I really only have one fear, I fear that I will forget my outrage. I fear that after so many months, that after so many scandals, after so many outrages newspaper articles that focus on other issues, that I will forget how important this work is. I fear that it will get shuffled to the back of my mind that this monththere are nearly 13,000 kids being held in detention, compared to 2,400 in May of 2017. I am afraid that I won’t feel the outrage, even knowing that it is government policies that have driven these numbers up. I am afraid that I won’t feel outrage that our government is choosing to house children in tent cities rather than encouraging family members to come and claim them. I am afraid that I will succumb to the great American pastime of outrage fatigue. Yeni, last night my community sang the KolNidre prayer. It is a prayer that absolves us from pledges we made to God last year and in the year to come. We say this prayer because in Judaism, breaking a promise, a vow, made in God’s name is a serious offense. Yeni, earlier I promised you that I would not forget your story, I am also promising you that I won’t stop working for family reunification. Just four days ago, months after the courts ordered that all children must be reunited with their parents, I helped arrange for transportation for a mother trying to get to her child in New York. Yeni, you may not be in the headlines anymore, but the story of family separation is not over. So this year, I reject KolNidre, I reject a prayer that absolves me when the soul of my country is at stake. This year I reject a prayer that absolves me if I fail to meet my promise. Too much has happened, too much is at stake. I reject a prayer that guarantees forgiveness for the unforgivable. I reject a prayer that will make my outrage fatigue acceptable, a prayer that secures my relationship with God but givesno mind to the insecurity you face each day. For those of us that have the means, that have the time, that have the privilege to help, this is not a moment when we can fail, when we can stumble. I reject KolNidre this year. I promise to continue working to right this horrendous wrong and I promise to encourage my congregation to do the same.My congregation has tried, in fact, just last year we declared ourselves a sanctuary congregation, it was an important step to take, but it remains wholly symbolic. A part of me doubts we will have the opportunity to help as a sanctuary congregation. Yeni, it made us feel good, but I don’t know that it actually did any good. We can do more Yeni. We live in State where separated kids don’t qualify for medicare, that isn’t the case in other states, we could do more to change this. We could make sure that we are on a list of available drivers who can transport migrant families living in Michigan to their meetings with ICE agents, or doctor’s visits, or help these families shop for groceries. Yeni, the wonderful thing that has happened is that groups of citizens have responded. There is a group called Michigan Support Circle, it has been helping families right here in Michigan, but they need more help, they need donations of funds but also clothes. Winter is coming and migrant families need to be prepared. These parents, like you, are unable to work, forbidden to work by our government even though you and they are legally waiting for your asylum request to be reviewed. Yeni, these families need support as they wait. We can do that, Yeni, we can be that support. Our debt to you Yeni, and to others who have suffered like you by the hands of our government is not forgiven and is not paid in full. We must do more, we have to do more, we will do more. Today family detention centers are being built and our government is trying to undermine the Flores Agreement; 12,800 kids are being detained in foster care facilities; almost $10 million of FEMA money was just transferred to ICE. We at Michigan Support Circle do what we do because we believe that what makes this country great is the conviction that every human being has inalienable rights and that the dehumanization of any person is a threat to all individuals. We believe that to deprive any individual of their rights as a human being is a grave threat to our core democratic values. We are proud that our mission at MSC has expanded beyond aiding those who were deemed “separated” by the government. We are now working for all children separated from their families, whether they came across the border alone or came across with aunts and uncles. Any children in detention and being held apart from their parents by our government are children (and families) that we want to help. For example, we are approaching foster care centers offering to help to fly these children to their parents for reunification so parents are not asked to pay between $300-$1500 for reunification costs with often as little as 24 hours’ notice. We are working to help to enroll these children in schools. We are working to make sure that these children have safe homes. And we want these families that often (depending on the state) have no real governmental resources to have someone that they can call. They can call us. We are honored to be part of a national movement to reunify and support families. Thank you for your participation in this movement. I was sick this week and forced to take a bit of time off on Tuesday; thus, I watched from the sidelines as 20-100 texts came in every hour as this amazing team problem-solved for the day. This gave me the idea to share this experience of being on the sidelines with you all. This is the story of this Tuesday for three families. Gina a co-founder of MSC and the number two in command was spearheading this text thread. SHE IS AMAZING. The times listed reflect the times that texts were sent. I have paraphrased the exchanges because otherwise this email would be several pages long and I have changed the kids’ and parents’ names. It is also worth noting that beyond the exchange below, I also witnessed a texting conversation about a family that we’re helping in Virginia, as well as another texting thread for the family that we’re helping in Grand Rapids. There was also a separate email exchange to help a Latino family who came to Michigan for work and got stranded in Rochester Hills when it turned out that there was no job. This thread was to help them get enough money to get back to their extended family in Florida. Beyond these conversations, there were emails with lawyers, donors, and doctors all handled by our team. And this was a slow day! 8:31am: Roger (age 9) is having panic attacks and is scared to be at school without his mom. He was separated from both his parents and his father was deported. We have a volunteer bilingual driver that is waiting outside this family’s house to drive him and his mom to school to get them settled. 9:00am: Roger is not going to school and our volunteer driver heads to work. Gina starts conversation with the school system to come up with a plan to help Roger transition into school. Administrators involved do not speak Spanish, so Gina acts as go between. 9:47am: Carey and Gina are working with Roger’s mom to set up a meeting with administrators and translator. Also looking into finding a bilingual mentor/helper teacher at his school. 11:25am: Gina is working with Lyn (age 7) and her family to find out if she can walk home from school by herself because mother has to remain home all day for ICE check-ins. This means that she cannot pick up her daughter from school. Lyn’s mom responds through Vanessa (our primary translator) that she’s nervous about her daughter walking home alone. 12:55pm: Gina works on lining up someone who can walk to meet Lyn, pick her up from school and then walk her home. This will require finding a volunteer and then calling school to add the volunteer to the list of people that can pick Lyn up from school. The mother cannot do this because there is no one in the office who speaks Spanish. 1:51pm: After reaching out to a few people, Gina lines up a bilingual volunteer who can be on the emergency card and walk Lyn home on Wednesdays. Vanessa reaches out to Lyn’s mother to explain and get permission. 1:55pm: Update from volunteer Ali: Mini (age 12) was able to get on the school bus by herself this morning. Ali helped show her and her dad the right bus and helped her to find students who speak Spanish on the bus. 2:36pm: Vanessa gets a text from Mini’s panicked mom because her daughter’s bus has not yet arrived. Gina calls the school to find out where the bus is. 2:45pm: Mini’s mom is still waiting at the bus stop. 2:58pm: Gina has an update on Roger. The school is going to have a meeting on Monday with Roger and his mom so that they can all come up with a plan to make this child feel safe in school. The school administrators can have this meeting either at school or at Roger’s house, whatever makes him feel safer. 3:02pm: Gina gets to work on figuring out why Mini didn’t get lunch. It turns out that the school won’t provide free lunch until all the forms are processed. They left Mimi without lunch for the day! Gina pays the money for school lunches for the next two weeks and our organization will reimburse her. 3:10pm: Vanessa informs Gina that Mini and her mom were confused about bus routes because their numbers didn’t match the ones given. Gina calls the school to figure this out. 5:30pm: Gina is the go-between between Mini’s mother and a doctor. Mini’s mom is having side effects to medication prescribed and needs to change drugs. She also needs PT. After talking to the doctor Gina works on finding a PT who can work on a sliding scale. 8:48pm Roger’s mom confirms with Vanessa that she is going to go with Roger to school on Wednesday to help him feel safer. Gina reaches out to find a volunteer driver who can take them both in and then pick Roger’s mom and son up in the afternoon. 9:19pm: Gina finds a driver for the next day. Roger’s mom decides that they will only stay for half a day, and Gina volunteers herself to pick family up from school and bring them home. 9:22pm: Correspondence is done for the night. Gina texts me to check in on how I’m feeling and tells me that she’s going to have a glass of wine. As a final note, we are all volunteers at MSC. We all have jobs, families, and things going on in our lives. By volunteering and contributing to MSC you make a real difference to reunited families. The house is quiet. Everyone is in bed and ready for the first day of school.For the first time since he started school, my third grader is more excited than nervous. As a former kindergarten teacher, I remember meeting my students for the first time, their little faces filled with a combination of nerves and excitement. For many of them, it was the first time they would spend almost an entire day away from home. This year, the start of school has new meaning for some families: The families separated at our southern border and recently reunited. They are facing another challenge this fall, sending their children to American schools every morning and trusting that they will be taken care of and returned to them at the end of every school day. Volunteers at Michigan Support Circle have been working to help some of the families who are here in Michigan through the process. For these families, the first hurdle has been enrolling in school. School districts require a number of documents ranging from an original birth certificate to an assurance that your child isn’t a criminal form to proof of residency. The proof of residency and picture ID are two documents the families we are helping don’t have at this time. Many of them are working on getting their passports back from ICE or are getting new passports from their country of origin’s consulate. Either way, they may not have photo identification, and they certainly do not own or cannot rent an apartment under their own names. Many of them, just released from detention centers, are living with family members or friends of family members. After calling school districts and doing some research, we found that the families we are helping qualify to attend schools because of a federal law called McKinney-Vento. The Stewart B. McKinney Homeless Assistance Act was signed into law in the late 1980s and it requires states to review and revise policies to ensure the immediate school enrollment of homeless children and youth. All of the kids that MSC is helping to enroll in schools are covered under this law. The law grants students the right to immediate school enrollment even when records are not present. It also grants them the right to receive transportation to and from school and the right to receive support for academic success. Many volunteers at MSC were completely unaware of this law until we contacted a school district on behalf of one of our families and the district informed us of the law. This particular district was beyond helpful in the registration process. Every person we spoke to was falling over themselves to help this family enroll. While the process in this district hasn’t been perfect, the administration and every staff member our nervous mother and child have met have gone above and beyond to make sure both felt safe and welcome. Even so, when the morning came to start school, the traumatized child was distraught about going and when he got there, couldn’t bear for his mom to leave. We are in the process of working with the school on a gradual separation plan so that his mom can remain at school until he is comfortable with her leaving. She will move from being with him in the classroom to being nearby, in the library, until he doesn't need to be reassured that she is there in the same building anymore. So while in some districts we have the law on our side and a supportive community ready to help with ELL (English Language Learner) programs, trauma therapy, meals, school supplies, transportation, etc., in other districts our families have been less than welcome. One district told us that they “can’t just let anyone in.” The people I encountered in this district were cold and irritated that they had to deal with “these people.” I was told things like, “I listened to your message twice and I am going to refer you to our website that clearly states the paperwork required to register a child in our district,” after I left a message explaining the organization I was volunteering for, what we do and that I was calling on behalf of a family that is new to the area and qualifies under McKinney-Vento. After many phone calls, a lot of back and forth and a number of personal and inappropriate questions about the families trying to register, two of our families will turn in their registration forms in this district and begin school almost a week late. My biggest fear for these two families is that the attitudes of the people I have encountered in this district are indicative of the attitudes in this district as a whole. I hope not. I can only hope that the staff and individuals at all of the schools our families are attending will provide a safe, warm and welcoming environment for these children who have endured so much and could use some extra support and kindness. Regardless of the enrollment process, once registered, the families we are working with have to trust that schools in a country whose government separated them will return them at the end of every school day. I go to sleep tonight asking myself the question: If I were them, would I? Gina Katz is a volunteer-leader with Michigan Support Circle, a metro Detroit-based ad hoc organization of volunteers that got its start by helping with the reunifications of immigrant families separated at the border a few months ago. To those of you with school-age kids: do you remember what it was like to register for school? Did you know the language that the forms were in? Did you know which documents you would need? Were you able to call your school to ask about bus routes and to figure out meal assistance programs? As we help our families register for school, we at MSC have recently become very familiar with the McKinney-Vento Homeless Assistance Act. None of the immigrant families we are helping are homeless, but the vast majority cannot prove residency through utility bills, bank accounts or other standard methods. Thus, we have used this law to enroll many of our families in school. This has been easy in some districts that were eager to support our families and very challenging in other districts, creating an environment hostile to the enrolling families. Because of difficulties working with some districts and challenges related to changing living situations for certain families, some kids started school today while others be joining their classes later in the week. No matter when they start, all our families will have support for their first day of preschool, high school and everything in between. For those who would like to learn more about the enrollment process, there will be a blog post dedicated to the process posted later this week. For the past nine weeks, we have focused on helping our recently reunited families with immediate needs like medical attention, housing and ICE appointments; beyond a few lunch outings, we have not been able to offer much in terms of a community. With our developing concentration on helping each family transition into their community, we are looking for local religious groups -- especially in the Rochester and Canton areas -- who can offer our families hospitality and assistance. If you belong to a church that would consider sponsoring a family or know of one, please reach out to us at michiganscstaff@gmail.com. MSC is also focused on finding long-term legal representation for several of our families. Some of our families had representation for their reunification, but can no longer count on groups like the ACLU to help them, while others never had representation. This is an area where our progress has been slower than we would like, and there is a real need for pro bono legal aid throughout the country. Many of the families who have yet not been reunited are separated across international borders. We are monitoring their reunifications as best we can but as we are a local group there is little that we can do. We still have one family left in Michigan that we are working with that remains separated. This last family’s situation is unique. We are working with a child who is hundreds of miles away from her family because of her severe medical needs. We will continue providing support to this young girl and family as we work toward a safe solution for their reunification. Please consider shopping for this family on Amazon or find links to our registries and Go Fund Me campaigns on our website: misupportcircle.org. Today seems like a great day to step back and explain who we are. In addition, today we are unveiling our new logo designed by volunteer Kevin Martin (see it in the masthead above). This logo serves as a powerful symbol of what this group is about: supporting the reunification and long-term well-being of all families separated at the border. Michigan Support Circle formed during a conference call on July 2. That is eight weeks ago today! We began as a group of people who had individually been calling the ACLU, Michigan Immigrant Rights Center and Bethany Christian Services to offer support. Additionally, others were contacted by Immigrant Families Together to support their first mother to be bonded out and driven cross-country to be reunited with her children. Our numbers have since grown to over 300 volunteers! MSC formed because we believe that we all have a moral duty to help people who were abused and traumatized through the inhumane act of separating families at the border (sometimes with no warning at all), lying to parents and then deporting them without their children, and slow walking reunifications. Our mission at MSC has grown to include supporting families whose children were brought to this country and separated from close relatives, not just parents. These are kids not classified as “separated” even though they remain in detention apart from their families. We are a group that is composed entirely of volunteers. None of us are paid for this work. We are inventing fixes as we go along, figuring out where we can get things donated, such as frequent flyer miles, mattresses and Amazon Registries. We learn how to help our families enroll children in school. We teach families about American car seats, public transportation and Amazon delivery. We sometimes make mistakes and need to change strategies, but often are able to help in powerful ways. Importantly, some reunited families have had very powerful videos taken of them and trending. Even if there are videos of our families, you will never see videos about our families on our website. We work hard to limit revealing information about our families. We have turned down interviews with CNN, NBC, BBC and other news organizations because our families have asked us to. You should also know that some of the videos seen online are not videos that our families intended to be shared with a wide audience. Such videos, while they raise awareness, can cause our families to relive trauma. The families that we work with have been through enough intense trauma. In addition, some families are running from explicit threats in their home countries and still fear for their lives even here in the States. For these and other reasons, while we strive to share the stories of the families we work with so that you can feel connected with them, we work hard to protect their privacy and so are unable to include all of the details. MSC is a team effort. Being a part of the Facebook Group (you can join by clicking here), donating cash or completing a wish list, volunteering to drive, to pick up supplies, even responding to a request for a doctor because your friend is one and you know that he or she is sympathetic, are all vital to what we do. Every single volunteer makes a real difference because volunteers allow us to say “yes” when a family needs medical attention, or if they suddenly find that they’re in an unsafe living situation. We are available if they need a drive to a consulate or need help figuring out bus routes. Help us to continue saying “yes” to these families; there is much healing still to do. Around 1 pm on Saturday, carrying sunflowers and a purple teddy bear, a mom was able to hug her daughter at the airport. This was the first time this mom had touched her daughter in over a year. Furthermore, her daughter was in a detention center for over three months where physical contact is not allowed. The daughter was thrilled to be able to hug and kiss her mother. The work that we do at Michigan Support Circle helped make this moment happen. Through funds donated, we were able to purchase this child’s ticket as well as pay for the round trip ticket of the chaperone. (The reason that it could not be done through all of the frequent flier miles that have been donated is something we will explain at a later date.) A volunteer driver was found to help take this family home; another volunteer donated clothing and cake so that this newly reunited family could celebrate. Others helped with translation, paperwork and provided support to a very excited and nervous mother. This was truly a group achievement. The reunification of this family was one of the most important things that MSC was able to achieve this week, but it was certainly not the only thing that we did. We began the week with a push to fill Karina’s Go Fund Me account and, with your help, we raised $2,500 for her in less than nine days! This money will help her as she moves into her new living situation and becomes more independent. On Sunday, we filled a volunteer’s SUV to the roof with school supplies! These supplies were purchased by our generous donors, and were delivered to the families harmed by the Corso's raids in Sandusky, Ohio, a few weeks ago. There were also significant donations of clothing mailed directly to Sacred Heart Church in Fremont to be picked up by Los Ninos de Corsos. We have a long week ahead of us with trips to consulates, doctor’s appointments, moving days, helping families to register for schools, and beginning ESL classes. We at MSC are in this for the long term. The families we work with strive to be independent, and are no less a part of our community. These communications will share as much as possible about their needs and successes while also respecting their privacy. Please continue to follow along and support them as you can. Thank you. So one of the things Michigan Support Circle is doing is finding volunteers to do anything and everything: deliver food, help with paperwork, fundraise for school supplies, rent, clothing, food and other living expenses, etc. Volunteers are also needed to transport immigrants to appointments – that could be anywhere from an hour or two at a medical appointment to a full day accompanying a family to Chicago round trip for an ICE or consulate appointment. Volunteers typically follow up by letting the core group of members involved in the logistics, scheduling and meeting other needs know how it went. The other day, one volunteer named Erin took a mom we are helping to an ICE appointment in Detroit. The mom doesn’t speak English. This volunteer is also bilingual – the gold standard of volunteers right now versus also needing to have a translator go along, too. Here’s the snapshot of Erin's day, in her words (edited to protect our families and for clarity). Hi All, I was a under the impression that today was M.’s first check in and so it would be at the ICE office. This was not the case. When I picked her up, she handed me a small Post-it note with 330 Jefferson, 9 a.m. appointment, for today at BI Incorporated. Neither of us knew what BI Incorporated was. We went to this address and there was no BI Incorporated. I remembered the email another volunteer sent yesterday that had 3300 E. Jefferson and realized M. was given the wrong address. I went to 3300 E. Jefferson and saw a Chase Bank and a shopping plaza. There were no signs for BI or ISAP (ICE’s Intensive Supervision and Appearance Program). I drove further down Jefferson and found an ICE building. Once inside, we were told to put M.’s papers in a bin and wait. I then found an officer and asked her to verify we were in the correct location. She looked at the paperwork and said it didn’t look like M. had permission to be in Michigan! She said to wait and an officer would be with us. We waited an hour. Then a second officer told us M. was supposed to have a letter and had an appearance at 9 a.m. and it was not good that M. had missed this appointment time, and that we had wasted the whole morning waiting there when we were supposed to be at a different office. Apparently BI International is a private company that provides electronic monitoring devices working with ISAP. They just moved to 3300 E. Jefferson in the shopping plaza, so it was the right address. It looks like a vacant office, with mirrored windows and no signs. We then watched a video in Spanish about the program. It talked about ankle monitoring, check-in, court dates and unannounced home visits. M. then had to meet with one of the caseworkers. I was not allowed in this meeting. It lasted about 40 minutes. In total we were there probably 90 minutes. Based on this meeting, M. now has to wear an ankle monitor. The worker said it was an ICE requirement. She also has to have permission to leave the state, which can take up to a week and will add an extra step to any trips to the consulate. While we waited for M.’s appointment, I hung out with her daughter, who had also come with us. Her daughter already knows the alphabet in English and can count up to 50 in English. We practiced counting and the alphabet and then I taught her a few other English words. After I dropped them off, I thought how hard, if not impossible, it would be for someone new to the country, not speaking the language and just having been through trauma, to navigate any of this. It just shows why we need to be doing what we are doing. Note: The families we are helping have ongoing needs. Please click here to see how you might help.